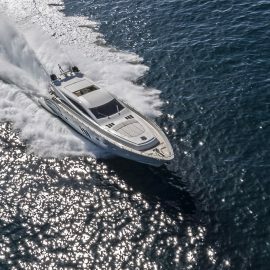 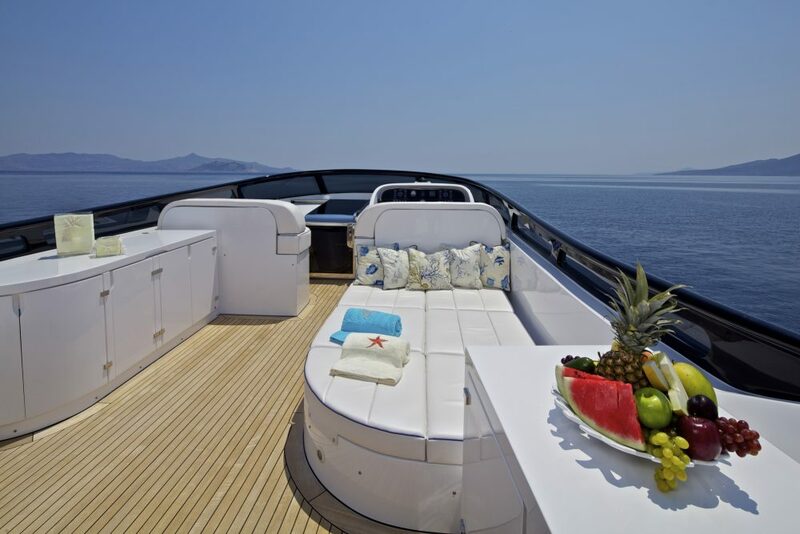 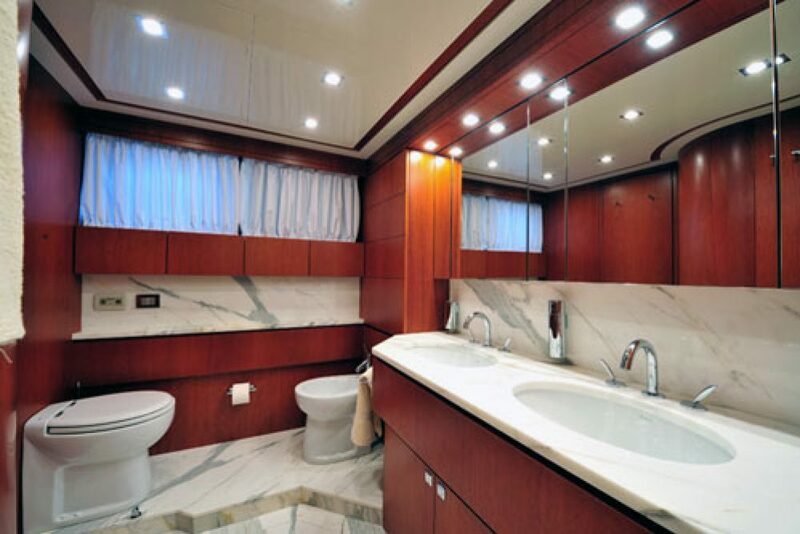 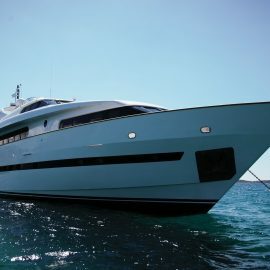 The 107.61ft /32.8m motor yacht, custom built in 2010 by Maiora. 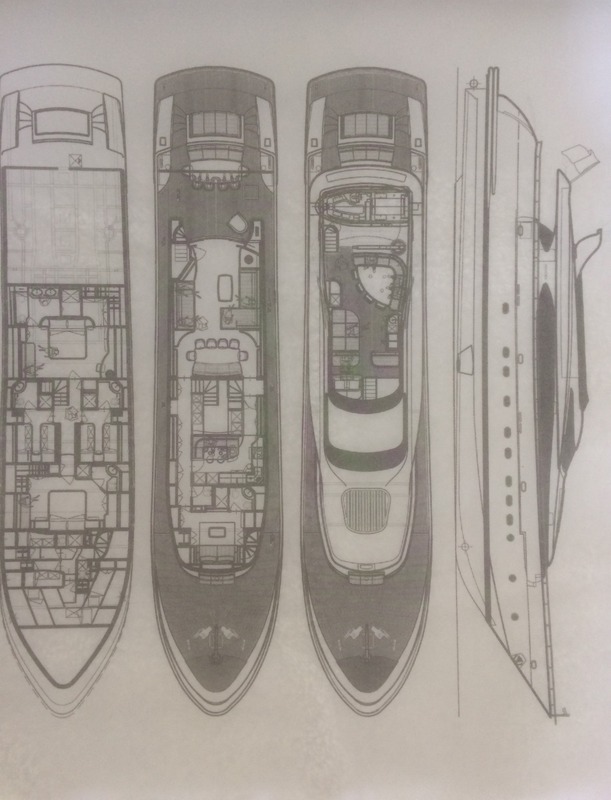 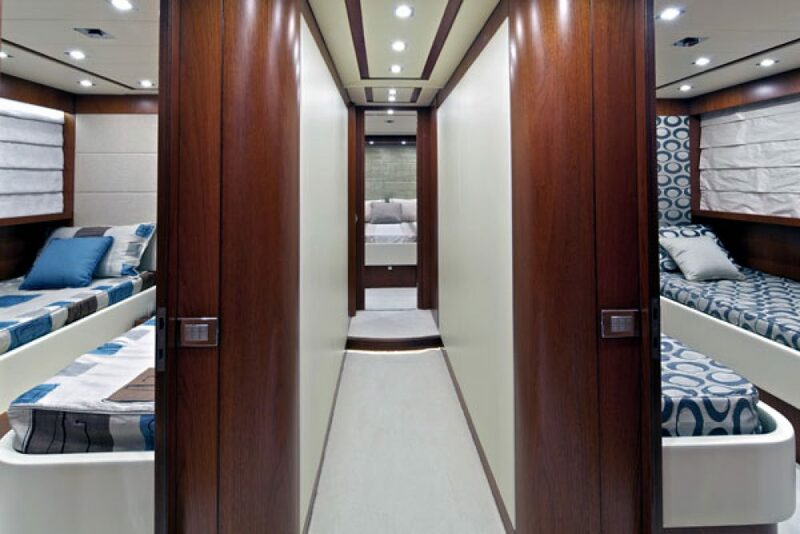 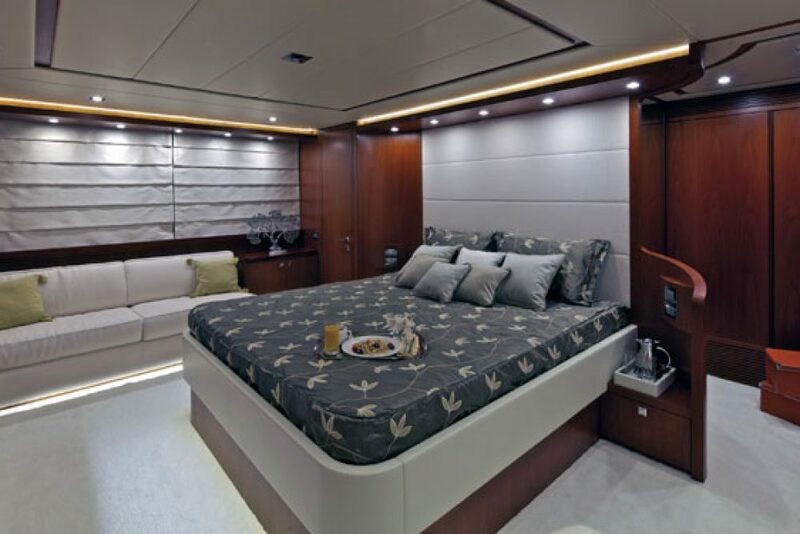 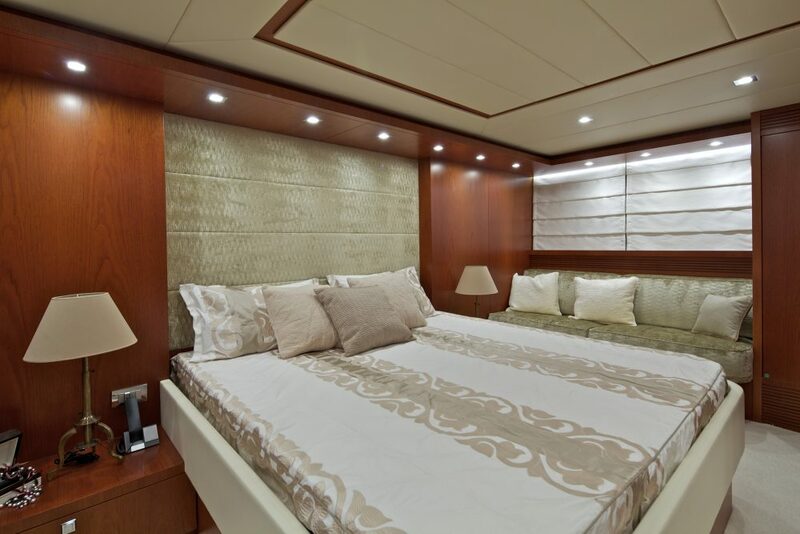 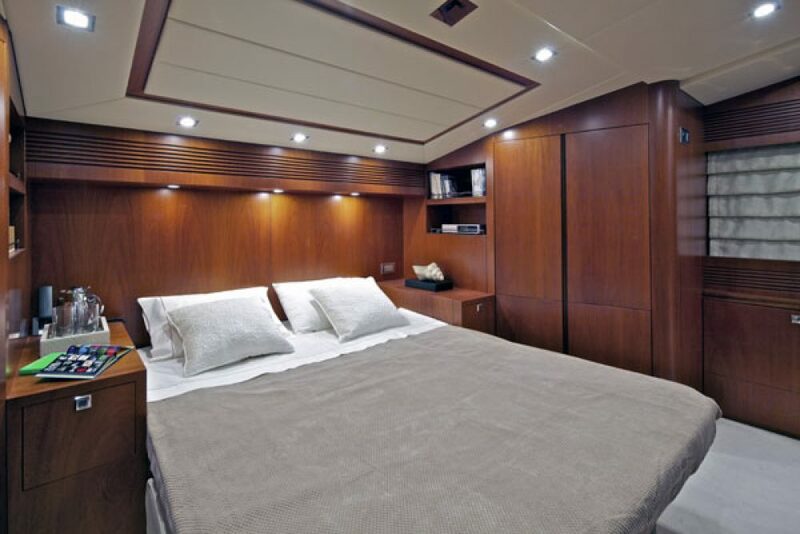 Interior layout sleeps up to 12 guests in 5 rooms, including a master suite, 2 double cabins and 2 twin cabins. 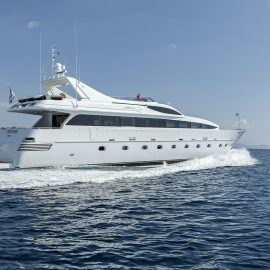 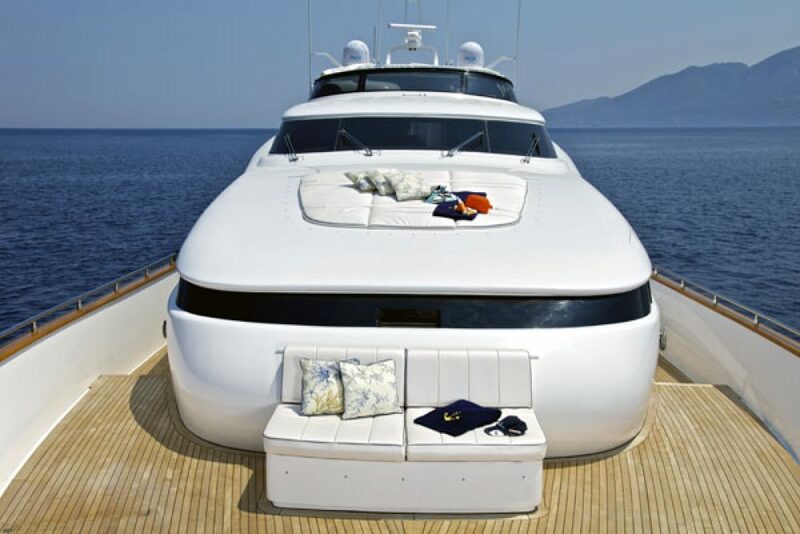 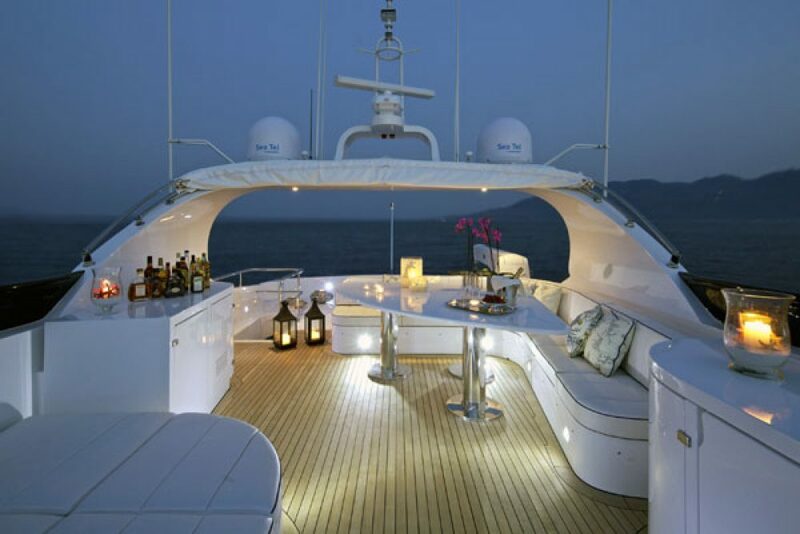 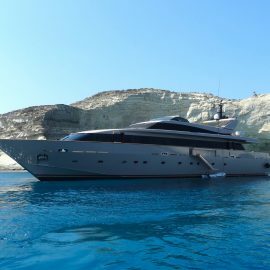 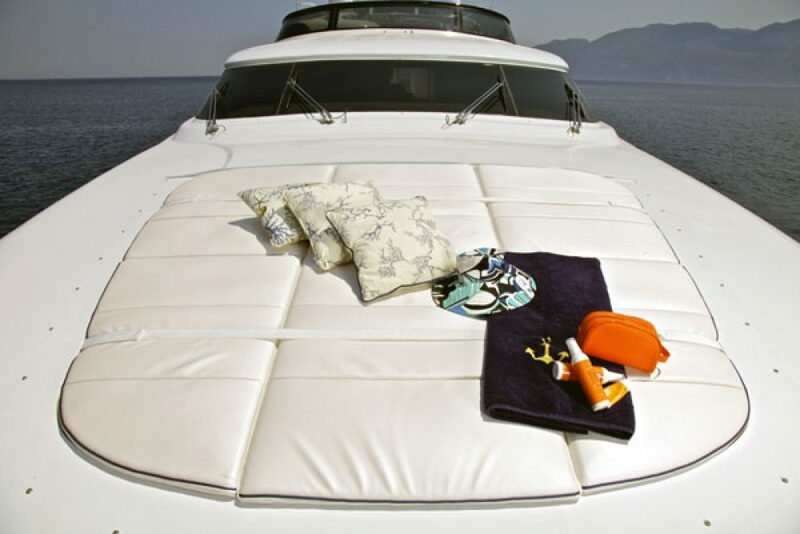 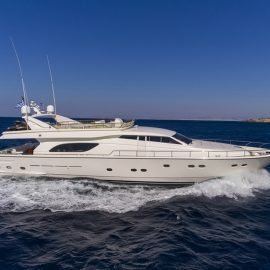 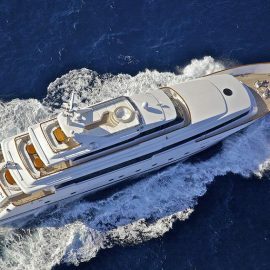 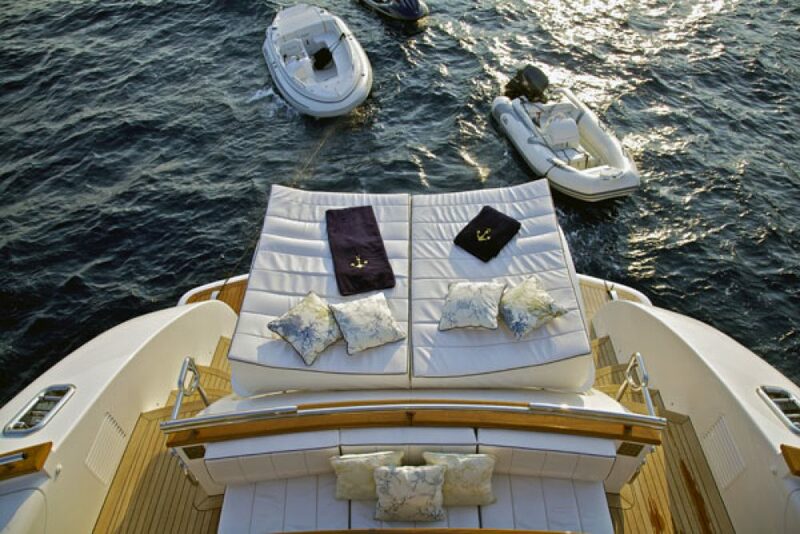 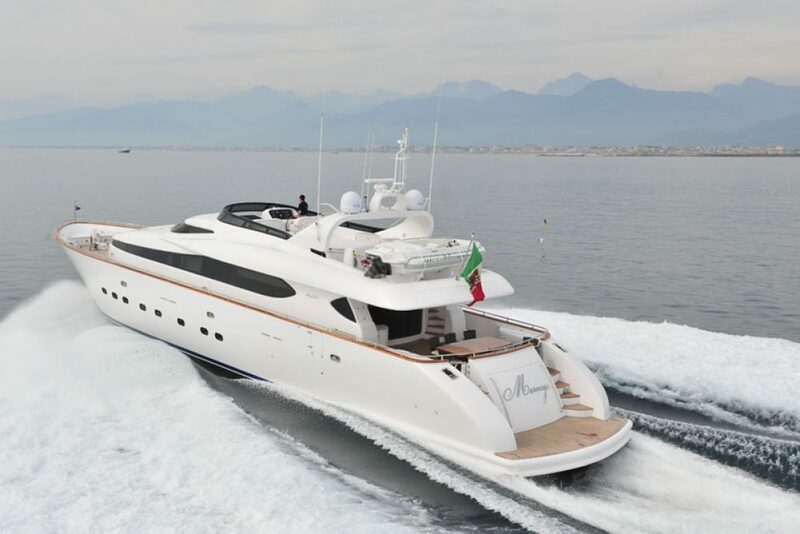 She is also capable of carrying up to 6 crew onboard to ensure a relaxed luxury yacht experience. 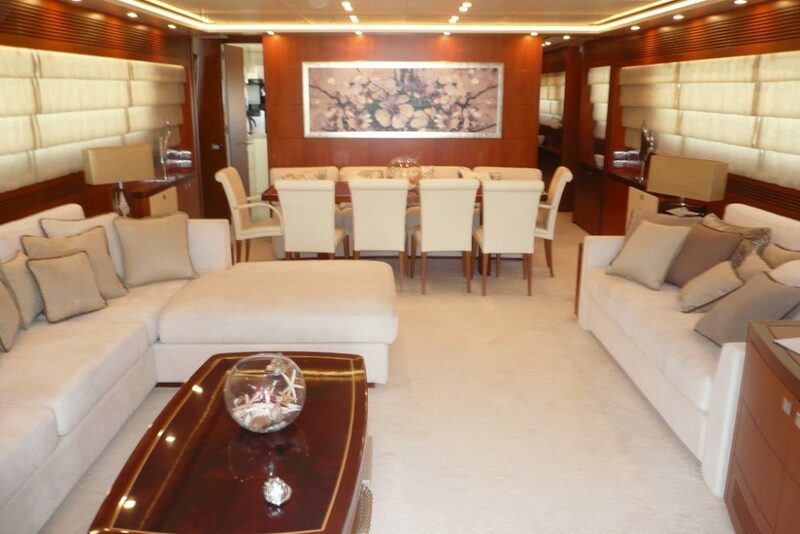 Timeless styling, beautiful furnishings and sumptuous seating feature throughout to create an elegant and comfortable atmosphere. 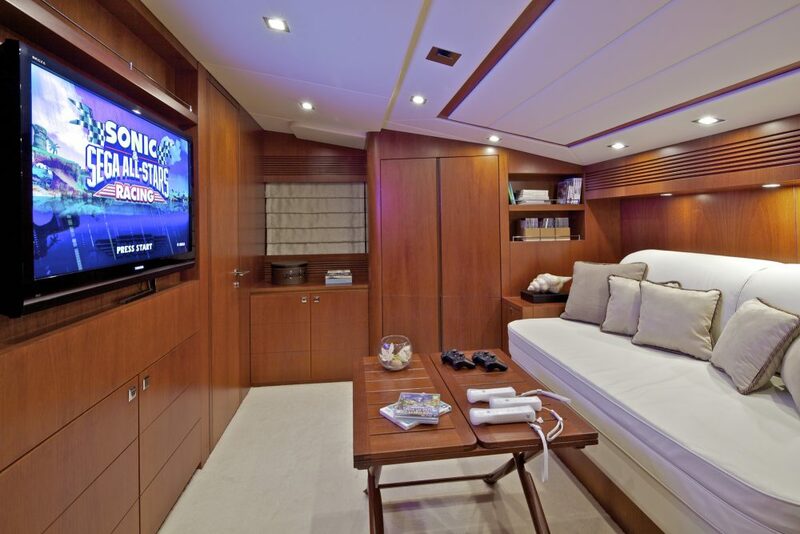 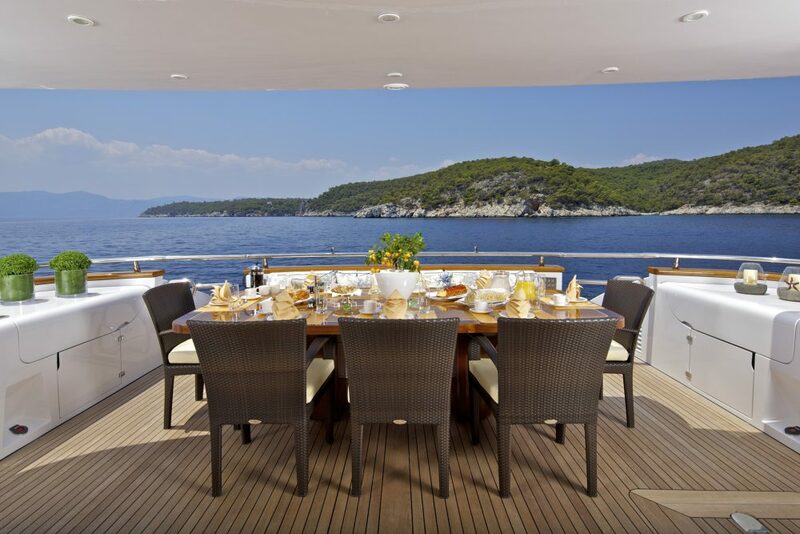 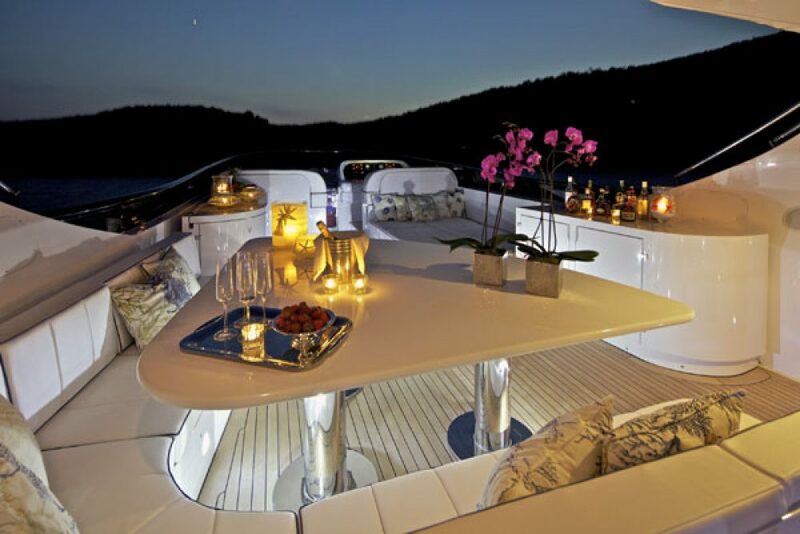 Impressive leisure and entertainment facilities make her the ideal charter yacht for socialising and entertaining with family and friends. 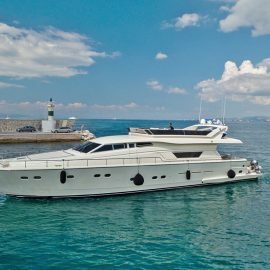 1 x Novurania Rib 5m (160hp) diesel inboard , 1 x Avon Rib 3,6m (40hp) outboard , 2 x canoes , 2 x Jet ski Yamaha SX Cruiser (1200hp) 3-pers , 3 pairs of water skis (adults and children) , Snorkeling gear for 10 (all sizes) , Fishing gear.